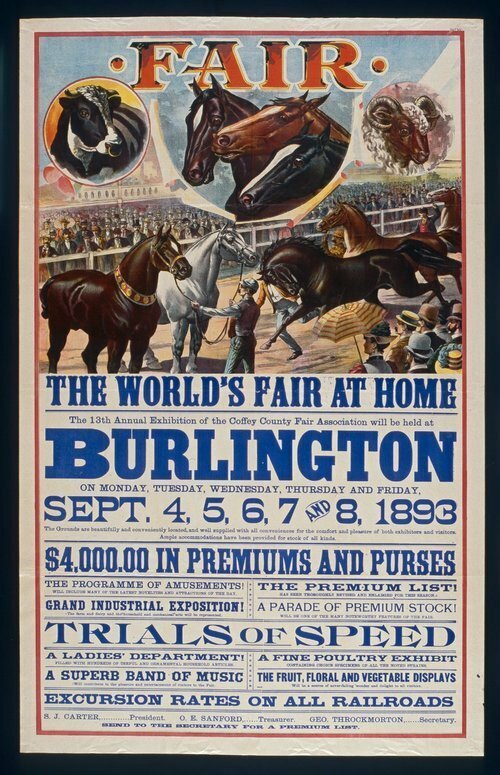 This poster advertises the thirteenth annual exhibition of the Coffey County Fair Association to be held at Burlington, Kansas. The exhibition included livestock and vegetable exhibits, horse racing, and musical entertainment events. Fair officers are S. J. Carter, president; O. E. Sanford, treasurer; and George Throckmorton, secretary.